Every 15 days, the "Snapshot" feature will be disabled and customers have to re-enable it following the same required steps for safety purposes if they have not logged in the app for 15 days. 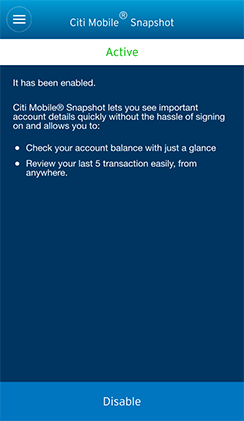 Log on to your Citi Mobile® App and go to "Settings" (located at the top of the navigation menu). Tap on "Manage Citi Mobile® Snapshot". 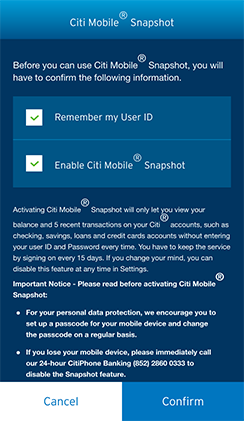 Check the "Remember my User ID" and "Enable Citi Mobile® Snapshot" boxes and tap "Confirm". 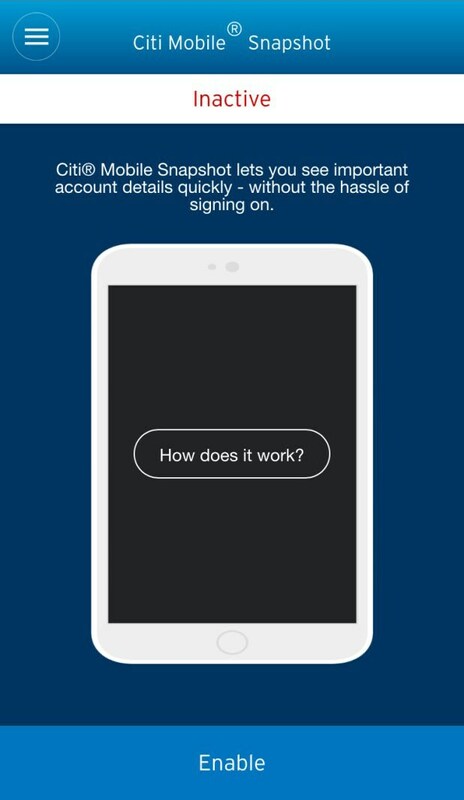 You will receive an One-Time Password (OTP)*, which will be sent to you via SMS. 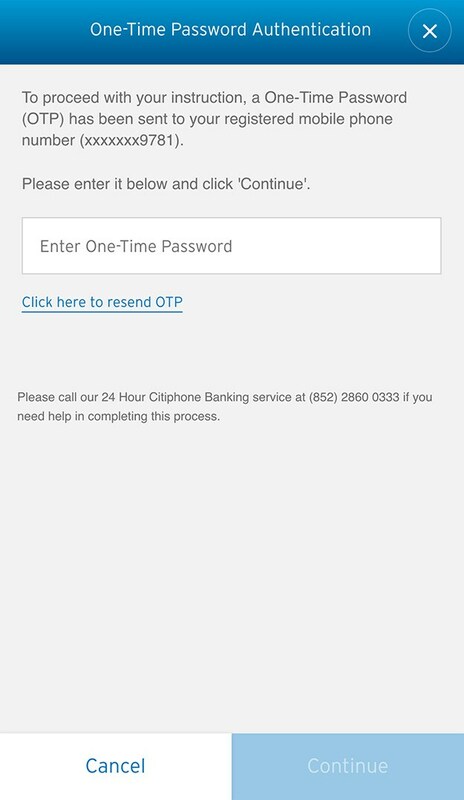 Enter the OTP and tap "Continue" to complete the process. 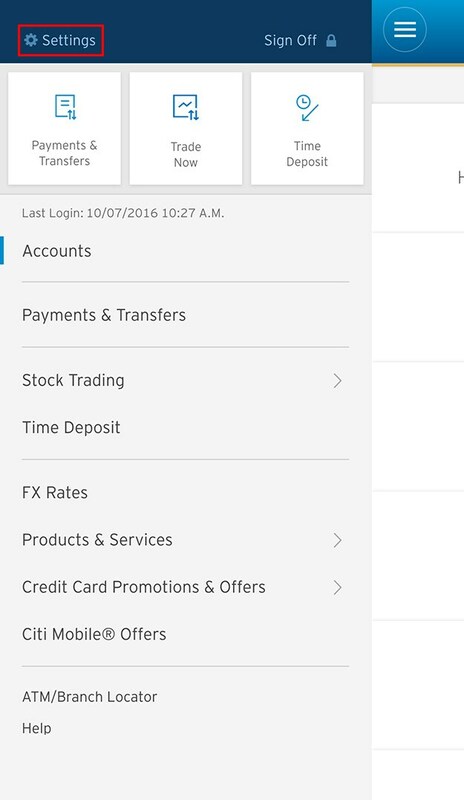 When you open the app next time, you can view your account balances and recent transactions without logging in. *If you have a security device, please generate a Password using the security device.